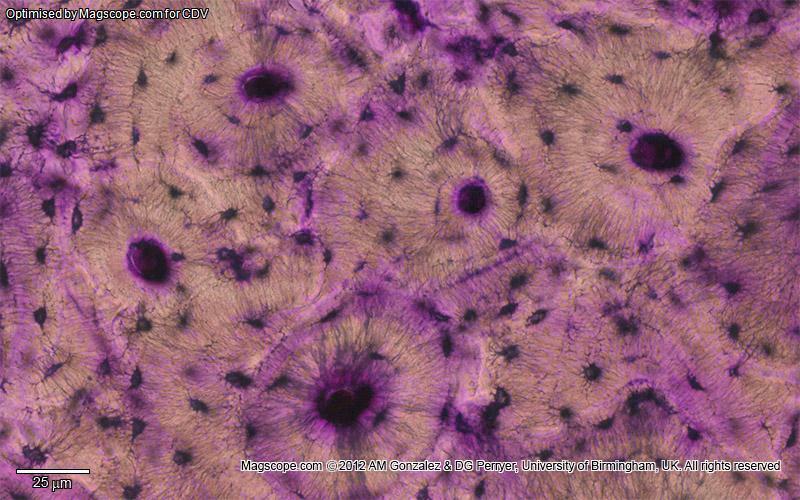 This section of dentaljuce has over 400 histological slides, showing tissues from all organ systems in their healthy state. Each tissue/organ slide set has an explanatory accompanying text which desribes its structure, function and role. The Histology online learning module has clear and concise aims, objectives and anticipated outcomes, listed below. These will appear on the Dentaljuce Enhanced CPD Certificate, along with the time spent, dates, and detailed topics you studied within the module. Certificates can be printed at any time, covering any range of dates. Dentaljuce CPD complies with the UK GDC's requirements for enhanced verifiable continuing professional development. To know and understand the microstructure of human tissues, and how it relates to health. Take the Dentaljuce Histology module. • Learn the structure and function of the body's tissue and organ systems. To know and understand the microstructure of human tissues, and how it relates to health. Take the Dentaljuce Histology module. • Learn the structure and function of the body's tissue and organ systems. The aim of the learning and teaching materials in this Dentaljuce module is to allow learners to develop their professional knowledge and understanding of the microstructure of human tissues, in line with their identified personal learning requirements. • to introduce, show and explain the histological foundations of the body's tissue and organ systems. • Learn the structure and function of the body's systems and tissues. GDC Principles and development outcomes.